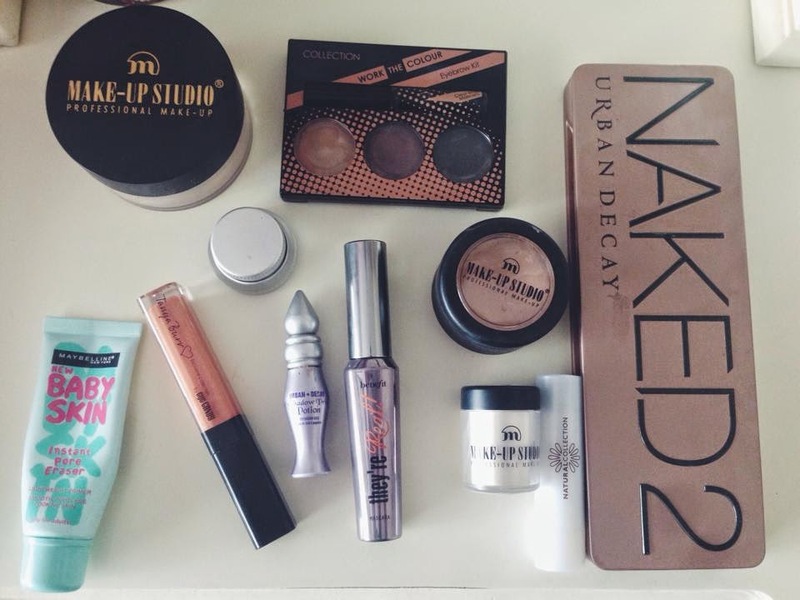 Today I went to the cinema with my family and decided to take a quick snap of the make up products I wore today. Stupidly I did forget to take a picture of the make up actually on my face but hopefully I'll remember to do so next time. Over the weekend I accidently knocked over my make up brush holder (note to self never use a glass jug if you're clumsy) and it smashed to pieces. My make up drawer hardly closes so I couldn't fit my brushes in it. Although the one I had I wasnt entirely sure about it but have found one in Ikea (basically that gorgeous white one everyone has I'm late on the bandwagon) that I adore and so I definitely need to take a trip as I don't think they post things although if they do I'll be really happy! 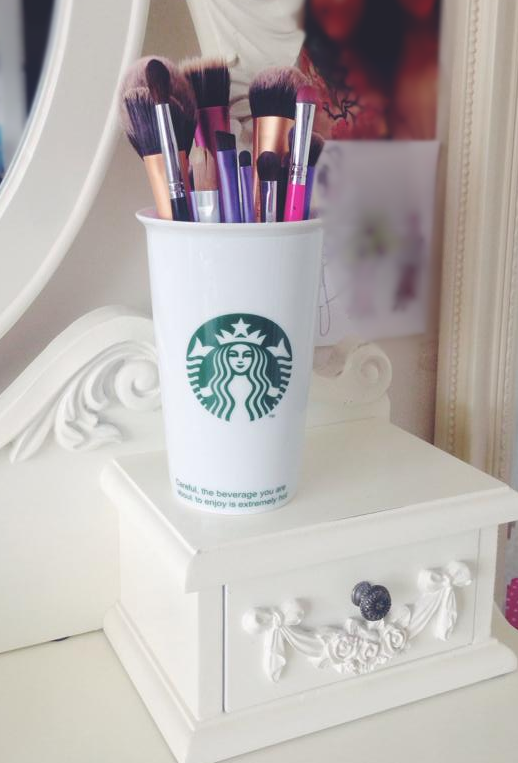 So for now I'm currently using this Starbucks Ceramic on the go coffee cup. It's white so it goes with my vanity I guess, however it will have to do until I can get my hands on the one from Ikea. Speaking of makeup brushes I should receive my Zoeva and more New Technique brushes this week and I am beyond excited to get my hands on them! Is it just me who does this please tell me it's not but when you get new brushes like you will keep them in their packaging, use them and then put them back in their packaging to keep them "safe" even though nothing would actually happen them if you put them with your other brushes. And then perhaps after a week or two you just get lazy and finally put them in with your other brushes. I dont know maybe thats just me, reading it back sounds really weird so hopefully I'm not the only one. I got a nice surprise when checking my emails today and seeing this!